J.B. Pardiwala And Paresh Upadhyay, JJ. 2. Consequently, the matter has been placed before this Bench. 3.1 A Tax Appeal under section 260A of the Income Tax Act (the Act, hereafter) was filed by the Revenue calling in question the judgment dated May 31, 2010 passed by the Income Tax Appellate Tribunal(the Tribunal, hereafter) raising various questions. The Appeal was filed on 13th October 2010. There is no dispute that the tax effect involved in this appeal exceeded Rs.4 lac which was the threshold limit permitting the Revenue to prefer appeal before the High Court as provided by Central Board of Direct Taxes (CBDT hereafter), in its instructions dated 15th May (the instructions of 2008, hereafter). There is also no dispute that such tax effect, however, does not exceed Rs.10 lac, a revised limit provided by the CBDT in its later instructions dated 9th February 2011 (the instructions of 2011, hereafter). 3.2 In the above facts, the learned counsel appearing for the assessee/respondent raised a preliminary objection as to the maintainability of the appeal on the ground that the tax effect involved is less than the minimum threshold limit provided by the CBDT in its instructions of 2011, which was in force on the date when the appeal came up for hearing, i.e. 12th September 2012. 3.3 The learned counsel appearing on behalf of the assessee tried to convince the Division Bench that although at the time of filing of the appeal, the limits prescribed by the Board in its instructions of 2008 applied and in accordance with such provisions, the appeal was maintainable at the time of filing of the appeal, the revised limits contained in the instructions of 2011 should be applied when the appeal is taken up for hearing after the passing of the revised instructions of 2011. In other words, according to the learned counsel appearing for the assessee, the revised limit contained in the instruction of 2011 would be applicable to all the pending appeals irrespective of the date of filing. 3.4 In support of such contention, the learned counsel appearing on behalf of the assessee relied upon a decision of the Division Bench of this Court dated 24th August 2012 in the case of the CIT v. Sureshchandra Durgaprasad Khatod (HUF)  214 Taxman 59/31 taxmann.com 74. In the said decision, the Division Bench, by relying upon a decision of the Bombay High Court in case of CIT v. Madhukar K. Inamdar (HUF)  318 ITR 149/185 Taxman 101 and certain other decisions of Delhi High Court held that the instructions of 2011 would also apply to pending appeals which were filed prior to the issue of the instructions of 2011. 3.5 The referring Division Bench, however, did not accept the contention of the learned counsel for the assessee, but having regard to the fact that an earlier Division Bench of this Court having taken a different view in the case of Sureshchandra Durgaprasad Khatod (HUF) (supra), decided to refer the matter to a Larger Bench as indicated earlier. 4. Therefore, the only question that falls for determination in this Reference is whether the instructions of 2011 would apply to all the pending appeals irrespective of the fact whether those appeals were filed after the coming into operation of the instructions of 2011 or not, and whether the pending appeals at the instance of the Revenue shall be also not maintainable even if those appeals complied with the requirement of the instruction of 2008 which was the applicable instruction on the date of filing of the appeals simply because the minimum tax effect for filing an appeal at the instance of the Revenue has since been increased by virtue of the instructions of 2011. “268A. Filing of appeal or application for reference by income-tax authority.—(1) The Board may, from time to time, issue orders, instructions or directions to other income-tax authorities, fixing such monetary limits as it may deem fit, for the purpose of regulating filing of appeal or application for reference by any income-tax authority under the provisions of this Chapter. (2) Where, in pursuance of the orders, instructions or directions issued under subsection (1), an income-tax authority has not filed any appeal or application for reference on any issue in the case of an assessee for any assessment year, it shall not preclude such authority from filing an appeal or application for reference on the same issue in the case of-(a) the same assessee for any other assessment year; or b) any other assessee for the same or any other assessment year. (3) Notwithstanding that no appeal or application for reference has been filed by an income-tax authority pursuant to the orders or instructions or directions issued under sub-section(1), it shall not be lawful for an assessee, being a party in any appeal or reference, to contend that the income-tax authority has acquiesced in the decision on the disputed issue by not filing an appeal or application for reference in any case. (4) The Appellate Tribunal or Court, hearing such appeal or reference, shall have regard to the orders, instructions or directions issued under sub-section(1) and the circumstances under which such appeal or application for reference was filed or not filed in respect of any case. All Chief Commissioners of Income-Tax and All Directors General of Income- Tax. Subject : Revision of Monetary limits for filing appeals by the Department before Income Tax Appellate Tribunals, High Courts and Supreme Court – measures for reducing litigation – reg. Reference is invited to Board’s instructions No.1979 dated 27.3.2000, No.1985 dated 29.6.2000, No.6 of 2003 dated 17.7.2003, No.19 of 2003 dated 23.12.2003, No.5/2004 dated 27.5.2004, No.2/2005 dated 24.10.2005 and No.5/2007 dated 16.7.2007, wherein monetary limits for filing departmental appeals (in Income-tax matters) and other conditions were specified, for filing appeals before Appellate Tribunals, High Courts and Supreme Court. 2. In supersession of the above instructions, it has been decided by the Board that departmental appeals will be filed before Appellate Tribunals, High Courts and Supreme Court as per monetary limits and conditions specified below. 4. For this purpose, “tax effect” means the difference between the tax on the total income assessed and the tax that would have been chargeable had such total income been reduced by the amount of income in respect of the issue against which appeal is intended to be filed (hereafter referred to as “disputed issues”). However, the tax will not include any interest thereon. Similarly, in loss cases notional tax effect should be taken into account. In the cases of penalty orders, the tax effect will mean quantum of penalty deleted or reduced in the order to be appealed against. 5. The Assessing Officer shall calculate the tax effect separately for every assessment year in respect of the disputed issues in the case of every assessee. If, in the case of an assessee, the disputed issues arise in more than one assessment year, appeal shall be filed in respect of such assessment year or years in which the tax effect, in respect of the disputed issues exceeds the monetary limited specified in para 3. No appeal shall be filed in respect of an assessment year or years in which the tax effect is less than the monetary limit specified in para 3. In other words, henceforth, appeals will be filed only with reference to the tax effect in the relevant assessment year. However, in case of a composite order of any High Court or appellate authority, which involves more than one year, appeal shall be filed in respect of all assessment years even if the “tax effect” is less than the prescribed monetary limits in any of the year(s), if it is decided to file appeal in respect of the year(s) in which ‘tax effect’ exceeds the monetary limit prescribed. 6. In a case where appeal before a Tribunal or a Court is not filed only on account of the tax effect being less than the monetary limit specified above, the Commissioner of Income-tax shall specifically record that “even though the decision is not acceptable, appeal is not being filed only on the consideration that the tax effect is less than the monetary limit specified in this instruction”. Further, in such cases, there will be no presumption that the Income – Tax Department has acquiesced in the decision on the disputed issues. The Income-tax Department shall not be precluded from filing an appeal against the disputed issues in the case of the same assessee for any other assessment year, or in the case of any other assessee for the same or any other assessment year, if the tax effect exceeds the specified monetary limits. 7. In the past, a number of instances have come to the notice of the Board, whereby an assessee has claimed relief from the Tribunal or the Court only on the ground that the Department has implicitly accepted the decision of the Tribunal or Court in the case of the assessee for any other assessment year or in the case of any other assessee for the same or any other assessment year, by not filing an appeal on the same disputed issues. The Departmental representatives/counsel must make every effort to bring to the notice of the Tribunal or the Court that the appeal in such cases was not filed or not admitted only by reason of the tax effect being less than the specified monetary limit and therefore, no inference should be drawn that the decisions rendered therein were acceptable to the Department. Accordingly, they should impress upon the Tribunal or the Court that such cases do not have any precedent value. 8. Adverse judgments relating to the following should be contested irrespective of the tax effect. (a) Where the Constitutional validity of the provisions of an Act or Rule are under challenge. (b) Where Board’s order, Notification, Instruction or Circular has been held to be illegal or ultra vires. 9. The proposal for filing Special Leave Petition under Article 136 of the Constitution before the Supreme Court should, in all cases, be sent to the Directorate of Income-tax (Legal & Research) New Delhi and the decision to file Special Leave Petition shall be in consultation with the Ministry of Law and Justice. 10. The monetary limits specified in para 3 above will not apply to writ matters. 11. This instruction will apply to appeals filed on or after 15th of May 2008. However, the cases where appeals have been filed before 15th of May 2008 will be governed by the instructions on this subject, operative at the time when such appeal was filed. 12. This issues under Section 268 A(1) of the Income-tax Act 1961. All Directors General of Income- Tax. Subject : Revision of Monetary limits for filing appeals by the Department before Income Tax Appellate Tribunal, High Courts and Supreme Court – measures for reducing litigation – Reg. Reference is invited to Board’s instruction No.5/2008 dated 15/05/2008, wherein monetary limits and other conditions for filing departmental appeals (in Income-tax matters) before Appellate Tribunal, High Courts and Supreme Court were specified. 4. For this purpose, “tax effect” means the difference between the tax on the total income assessed and the tax that would have been chargeable had such total income been reduced by the amount of income in respect of the issue against which appeal is intended to be filed (hereinafter referred to as “disputed issues”). However, the tax will not include any interest thereon, except where chargeability of interest itself is in dispute. In case the chargeability of interest is the issue under dispute, the amount of interest shall be the tax effect. In cases where returned loss is reduced or assessed as income, the tax effect would include notional tax on disputed additions. In case of penalty orders, the tax effect will mean quantum of penalty deleted or reduced in the order to be appealed against. 5. The Assessing Officer shall calculate the tax effect separately for every assessment year in respect of the disputed issues in the case of every assessee. If, in the case of an assessee, the disputed issues arise in more than one assessment year, appeal, can be filed in respect of such assessment year or years in which the tax effect, in respect of the disputed issues exceeds the monetary limited specified in para 3. No appeal shall be filed in respect of an assessment year or years in which the tax effect is less than the monetary limit specified in para 3. In other words, henceforth, appeals can be filed only with reference to the tax effect in the relevant assessment year. However, in case of a composite order of any High Court or appellate authority, which involves more than one assessment year and common issues in more than one assessment year, appeal shall be filed in respect of all assessment years even if the “tax effect” is less than the prescribed monetary limits in any of the year(s), if it is decided to file appeal in respect of the year(s) in which ‘tax effect’ exceeds the monetary limit prescribed. In case where a composite order/judgment involves more than one assessee, each assessee shall be dealt with separately. 7. In the past, a number of instances have come to the notice of the Board, whereby an assessee has claimed relief from the Tribunal or the Court only on the ground that the Department has implicitly accepted the decision of the Tribunal or Court in the case of the assessee for any other assessment year or in the case of any other assessee for the same or any other assessment year, by not filing an appeal on the same disputed issues. The Departmental representatives/counsels must make every effort to bring to the notice of the Tribunal or the Court that the appeal in such cases was not filed or not admitted only for the reason of the tax effect being less than the specified monetary limit and therefore, no inference should be drawn that the decisions rendered therein were acceptable to the Department. Accordingly, they should impress upon the Tribunal or the Court that such cases do not have any precedent value. As the evidence of not filing appeal due to this instruction may have to be produced in courts, the judicial folders in the office of CsIT must be maintained in a systemic manner for easy retrieval. 10. The monetary limits specified in para 3 above shall not apply to writ matters and direct tax matters other than Income tax. Filing of appeals in other Direct tax matters shall continue to be governed by relevant provisions of statute & rules. Further, filing of appeal in cases of Income Tax, where the tax effect is not quantifiable or not involved, such as the case of registration of trusts or institutions under section 12 A of the IT Act, 1961, shall not be governed by the limits specified in para 3 above and decision to file appeal in such cases may be taken on merits of a particular case. 11. This instruction will apply to appeals filed on or after 9th February 2011. However, the cases where appeals have been filed before 9th of February 2011 will be governed by the instructions on this subject, operative at the time when such appeal was filed. 12. 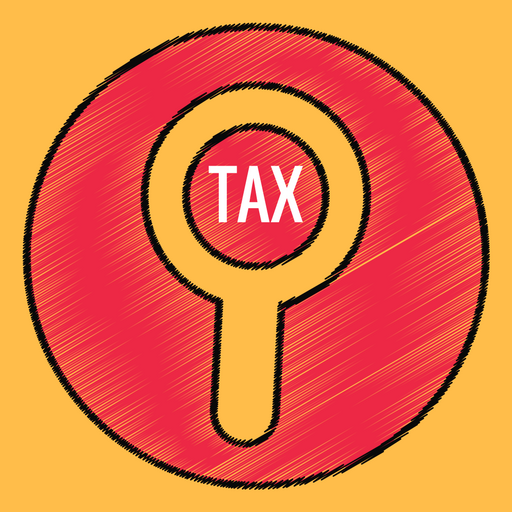 This issues under Section 268 A (1) of the Income-tax Act 1961. 6. After hearing Mr. Bhatt, the learned Senior Advocate appearing on behalf of the Revenue and Mr. Soparkar, the learned Senior Advocate, appearing on behalf of the Assessee and after going through the aforesaid provisions of Section 268A of the Income Tax Act as well as the instructions of 2008 and instructions of 2011, we find that those two instructions having been issued by the CBDT in exercise of powers conferred under section 268A of the IT Act, those instructions are really pieces of delegated legislation and consequently, have the force of law. ’13. In our opinion, Rule 27(c) of the Rules is plain and clear. Hence, the literal rule of interpretation will apply to it. No doubt, equity may be in favour of the respondents because they were selected earlier, but as observed earlier, if there is a conflict between equity and the law, it is the law which must prevail. The law, which is contained in Rule 27(c), is clearly in favour of the appellants. 14. Hence, we cannot accept the submission of the learned senior counsel for the private respondents. The language of Rule 27(c) of the Rules is clear and hence we have to follow that language. 16. It may be mentioned in this connection that the first and foremost principle of interpretation of a statute in every system of interpretation is the literal rule of interpretation. The other rules of interpretation e.g. the mischief rule, purposive interpretation etc. can only be resorted to when the plain words of a statute are ambiguous or lead to no intelligible results or if read literally would nullify the very object of the statute. Where the words of a statute are absolutely clear and unambiguous, recourse cannot be had to the principles of interpretation other than the literal rule, vide Swedish Match AB v. Securities and Exchange Board, India, AIR 2004 SC 4219: (2004 AIR SCW 4853). As held in Prakash Nath Khanna v. CIT 2004 (9) SCC 686 : (AIR 2004 SC 4552 : 2004 AIR SCW 3692), the language employed in a statute is the determinative factor of the legislative intent. The legislature is presumed to have made no mistake. The presumption is that it intended to say what it has said. Assuming there is a defect or an omission in the words used by the legislature, the Court cannot correct or make up the deficiency, vide Delhi Financial Corporation v. Rajiv Anand, 2004 (11) SCC 625. Where the legislative intent is clear from the language, the Court should give effect to it, vide Government of Andhra Pradesh v. Road Rollers Owners Welfare Association,2004(6) SCC 210, and the Court should not seek to amend the law in the garb of interpretation. 19. In other words, once we depart from the literal rule, then any number of interpretations can be put to a statutory provision, each Judge having a free play to put his own interpretation as he likes. This would be destructive of judicial discipline, and also the basic principle in a democracy that it is not for the Judge to legislate as that is the task of the elected representatives of the people. Even if the literal interpretation results in hardship or inconvenience, it has to be followed(see G.P. Singh’s Principles of Statutory Interpretations, 9th Edn. pp 45-49). Hence departure from the literal rule should only be done in very rare cases, and ordinarily there should be judicial restraint in this connection. “Again and again, this Board has insisted that in construing enacted words we are not concerned with the policy involved or with the results, injurious or otherwise, which may follow from giving effect to the language used.”(see Emperor v. Benoarilal Sarma, AIR 1945 PC 48, pg. 53). “Hardship or inconvenience cannot alter the meaning of the language employed by the Legislature if such meaning is clear on the face of the statute”. 22. Where the words are unequivocal, there is no scope for importing any rule of interpretation vide Pandian Chemicals Ltd. v. CIT, 2003(5) SCC 590. 23. It is only where the provisions of a statute are ambiguous that the Court can depart from a literal or strict construction vide Narsiruddin v. Sita Ram Agarwal, AIR 2003 SC 1543 : (2003 AIR SCW 908). Where the words of a statute are plain and unambiguous effect must be given to them vide Bhaiji v. Sub-Divisional Officer, Thandla, 2003(1) SCC 692. “The Court cannot legislate under the garb of interpretation “. 25. Hence, there should be judicial restraint in this connection, and the temptation to do judicial legislation should be eschewed by the Courts. In fact, judicial legislation is an oxymoron. 27. Where the language is clear, the intention of the legislature has to be gathered from the language used vide Grasim Industries Limited v. Collector of Customs, 2002 (4) SCC 297 : (AIR 2002 SC 1706 : 2002 AIR SCW 1646) and Union of India v. Hamsoli Devi, 2002 (7) SCC 273 : (AIR 2002 SC 3240 : 2002 AIR SCW 3755). 29. The function of the Court is only to expound the law and not to legislate vide District Mining Officer v. Tata Iron and Steel Company, 2002 (7) SCC 358. If we accept the interpretation canvassed by the learned counsel for the private respondents, we will really be legislating because in the guise of interpretation we will be really amending Rule 27(c) of the Rules. “It is a cardinal principle of interpretation of statute that the words of a statute must be understood in their natural, ordinary or popular sense and construed according to their grammatical meaning, unless such construction leads to some absurdity or unless there is something in the context or in the object of the statute to suggest to the contrary. The golden rule is that the words of a statute must prima facie be given their ordinary meaning. It is yet another rule of construction that when the words of the statute are clear, plain and unambiguous, then the Courts are bound to give effect to that meaning, irrespective of the consequences. It is said that the words themselves best declare the intention of the law-giver. The Courts are adhered to the principle that efforts should be made to give meaning to each and every word used by the legislature and it is not a sound principle of construction to brush aside words in a statute as being inapposite surpluses, if they can have a proper application in circumstances conceivable within the contemplation of the statute”. 31. The same view has been taken by this Court in S. Mehta v. State of Maharashtra, 2001 (8) SCC 257: (AIR 2001 SC 3774: 2001 AIR SCW 3492) (vide para 34) and Patangrao Kaddam v. Prithviraj Sajirao Yadav Deshmugh, AIR 2001 SC 1121: (2001 AIR SCW 871). 32. The literal rule of interpretation really means that there should be no interpretation. In other words, we should read the statute as it is, without distorting or twisting its language. 9. Similarly, clause 11 of the instructions of 2008 specifically provides that “this instruction will apply to appeals filed on or after 15th of May 2008. However, the cases where appeals have been filed before 15th of May 2008 will be governed by the instructions on this subject, operative at the time when such appeal was filed.”, meaning thereby, the earlier instructions. 10. There is, thus, no ambiguity in the instructions of either 2011 or 2008 as regards the applicability of those instructions in respect of the appeals, and, at the same time, it has also been made clear that if those appeals are not filed after the given dates mentioned in those instructions, the fate of the appeals will be governed in accordance with the instructions prevailing on the date of presentation of such appeals. 11. In view of such clear legislative intention, we are unable to hold that even if an appeal is filed prior to 9th February 2011, the same would be barred notwithstanding the fact that at the time of filing such appeal, the same was not barred by the then instructions of the CBDT. The Court has further held that the prevailing instructions fixing the monetary limit for the tax effect would hold good even for pending cases. Accordingly, the Court dismissed all the appeals having a tax effect of less than Rs. 4 Lacs. 10. The new CBDT instructions have been issued on 9th February, 2011, being Instruction no. 3 of 2011. The monetary limit has been raised again and clause 3 of the instructions provides that appeals shall not be filed in cases where the tax effect does not exceed the monetary limits prescribed, henceforth. The monetary limits prescribed for filing an appeal under Section 260A before the High Court has been raised to Rs. 10 Lacs. This instruction is identical to the CBDT Instruction no. 5 of 2008. Clause 10 of this circular indicates that monetary limits would not apply to writ matters and direct tax matters other than income tax. It further provides that where the tax effect is not quantifiable, the Department should take a decision to file appeals on merits of each case. Clause 11, again provides that the instruction would apply to appeals filed on or after ….2011 and appeals filed before…….2011 would be governed by the instructions on this subject, operative at the time when such appeals were filed. 11. In our opinion, when a similar clause has been interpreted by the Division Bench of this Court in CIT v. Madhukar Inamdar (Supra), the same principles must apply in the present cases also, as we have found that the instructions of 15th May, 2008 is para-material with the instruction of 9th February, 2011. 14. Similarly, the Delhi High Court in the case of “Commissioner of Income Tax v. Delhi Race Club Ltd.”, decided on March 03, 2011, by relying on its earlier Judgement “Commissioner Income Tax Delhi-III v. M/s P.S. Jain and Co. decided on 2nd August, 2010 has held that the CBDT circular raising the monetary limit of the tax effect to Rs. 10 Lacs would be applicable to pending cases also. 13. With great respect to the Division Bench of this Court in the case of The CIT v. Sureshchandra Durgaprasad Kathod (HUF) (supra) as well as of the Division Bench of the Bombay High Court and other High Courts quoted above, we are unable to agree with the view taken therein because in those decisions, the well-settled principle laid down by the Supreme Court relating to literal construction, as reiterated in the case of B. Premchand(supra), extensively quoted by us, was not followed. 14. In our opinion, in the absence of any ambiguity, there is no scope of interpreting the said provision in a different way by ignoring the literal meaning of the words used in the said delegated statutory provisions. As pointed out by the Supreme Court, where the language is clear, the intention of the legislature has to be gathered from the language used. In other words, we should read the statute as it is without distorting or twisting its language. 15. Moreover, from the provisions contained in Section 268A of the Act, which confers power upon CBDT to issue instruction, it appears that it simply enables CBDT from time to time, to issue orders, instructions or directions to other income-tax authorities, fixing such monetary limits as it may deem fit, for the purpose of regulating filing of appeal or application for reference by any income-tax authority under the provisions of the concerned Chapter. From the language of the enabling provisions of the statute, it is clear that no power has been conferred to the CBDT to make the pending appeals or references filed in accordance with the then existing law infructuous by issuing any such direction or instruction with retrospective effect. “The extent and amplitude of the rule making power would depend upon and be governed by the language of the section. If a particular rule were not to fall within the ambit and purview of the section, the Central Government in such an event would have no power to make that rule. Likewise, it there was nothing in the language of S. 40 to empower the Central Government either expressly or by necessary implication, to make a rule retroactively, the Central Government would be acting in excess of its power if it gave retrospective effect to any rule. The underlying principle is that unlike Sovereign Legislature which has power to enact laws with retrospective operation, authority vested with the power of making subordinate legislation has to act within the limits of its power and cannot transgress the same. The initial difference between subordinate legislation and the statute laws lies in the fact that a subordinate law making body is bound by the terms of its delegated or derived authority and that Court of law, as a general rule, will not give effect to the rules, thus made, unless satisfied that all the conditions precedent to the validity of the rules have been fulfilled (see Craies on Statute Law, p. 297 (Sixth Edition).” (Emphasis supplied). ‘Now it is open to a sovereign legislature to enact laws which have retrospective operation. Even when the Parliament enacts retrospective laws such laws are-in the words of Willes, J. in Phillips v. Eyre, (1870) 40 LJ QB 28 at p. 37-“no doubt prima facie of questionable policy, and contrary to the general principle that legislation by which the conduct of mankind is to be regulated ought, when introduced for the first time, to deal with future acts, and ought not to change the character of past transactions carried on upon the faith of the then existing law.” The courts will not, therefore, ascribed retrospectively to new laws affecting rights unless by express words or necessary implication it appears that such was the intention of the legislature. The Parliament can delegate its legislative power within the recognised limits. Where any rule or regulation is made by any person or authority to whom such powers have been delegated by the legislature it may or may not be possible to make the same so as to give retrospective operation. It will depend on the language employed in the statutory provision which may in express terms or by necessary implication empower the authority concerned to make a rule or regulation with retrospective effect. But where no such language is to be found it has been held by the Courts that the person or authority exercising subordinate legislative functions cannot make a rule, regulation or bye-law which can operate with retrospective effect: (See Subba Rao J., in Dr. Indramani Pyarelal Guptav. W. R. Nathu, (1963) 1 SCR 721 = (AIR 1963 SC 274)-the majority not having expressed any different opinion on the point; Modi Food Products Ltd. v. Commr. of Sales Tax, U. P., AIR 1956 All 35; India Sugar Refineries Ltd. v. State of Mysore, AIR 1960 Mys 326 and General S. Shivdev Singh v. State of Punjab, (1959) 61 Pun LR 514 = (AIR 1959 Punj 453) (FB).’ (Emphasis supplied). 18. For the above reasons, the CBDT being fully conscious of its limitation, decided to give clear prospective effect to those instructions in paragraph 11 of the instructions. Thus, there is no scope of interpreting the instructions mentioned above as done by the Division Bench of this court in the case of Sureshchandra Durgaprasad Kathod (HUF) (supra). (1) CIT v. Ranka & Ranka  352 ITR 12/ 206 Taxman 322/19 taxmann.com 65(Kar.). (2) Smt. Vijaya V. Kavekar’s case (supra). (3) Madhukar K. Inamdar (HUF)’s case (supra) . (4) CIT v. Polycott Corpn. 318 ITR 144/178 Taxman 255 (Bom.). (5) CIT v. Pithwa Engg. Works  276 ITR 519 (Bom.). 19.1 We have gone through the above decisions. We find that in none of those decisions, the High Court considered the above proposition of law laid down by the Supreme Court. Thus, the ultimate conclusion arrived at by the different High Court was in conflict with the existing law of the land as pointed out above. We are thus unable to follow those decisions. 20. Mr. Bhatt, the learned Senior Advocate appearing for the Revenue, on the other hand, also placed some decisions of the other High Courts including the Full Bench decision of the Punjab and Haryana High Court in the case of CIT v. Varindera Construction Co.  331 ITR 449/198 Taxman 42/10 taxmann.com 38 taking the view that the said circular is not applicable to the pending appeals. We follow the above conclusion, however, based on the reason assigned by us in this judgment. 21. On consideration of the submissions of the learned counsel for the parties, we, therefore, answer the reference in the negative. Let the appeal be placed before the referring Bench for deciding it in accordance with law. This entry was posted in Section 268A and tagged 363 ITR, Gujarat High Court, In favour of Assessee.